(April 28, 2016) Highway projects must survive through a series of evaluation and prioritization processes by the Charlotte Regional Transportation Planning Organization (CRTPO) and the North Carolina Department of Transportation (NCDOT) before they can be funded and scheduled for construction. One local project (the widening if Highway 160 from South Tryon Street south to the South Carolina state line--see the blue section on the Map below) is currently passing through those processes and has survived through the first few steps. This 2.2 mile widening project has been evaluated for prioritization along with other transportation projects for possible funding after 2020. The resulting quantitative scores will be supplemented with local input points by CRTPO and NCDOT. The project didn't receive high enough quantitative scores two years ago during Prioritization 3.0 to advance to the next steps, but it has this year in Prioritization 4.0. It ranked 41 out of 103 Regional Impact projects in Region E and 21 of 29 projects in the CRTPO portion of Region E (Mecklenburg County and most of Union County). See P4.0 Highway Projects, Regional Impact Tier, Region E - Mecklenburg and Union Counties, April 21, 2016. CRTPO will assign local input points to projects based on its adopted local input point methodology, which ranks projects based on their 2040 Metropolitan Transportation Plan scores. In this ranking, Highway 160 ranks 10 out of 29 local Regional Impact projects. At the April 20 CRTPO meeting, staff announced that they propose for CRTPO to assign 100 local input points (the maximum) to the Highway 160 project. See the Region E Draft Regional Impact Highway Point Assignment list on page 15 of the Prioritization 4.0 (P4.0) presentation at the April 20 CRTPO meeting. The listing for the Highway 160 project south of South Tryon Street is shown below. 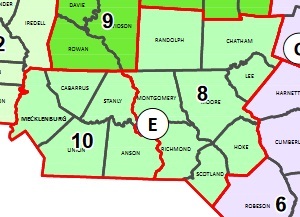 In addition, Division 10 of NCDOT also will be assigning local input points to supplement the P4.0 scores. According to the agenda for the Technical Coordinating Committee (TCC) meeting for May 5, NCDOT Division 10 also plans to assign 100 local input points to the Highway 160 project. CRTPO is expected to issue a media release on May 6 announcing the beginning of the public involvement period for CRTPO's draft Regional Impact project list proposed for local input point assignment. They also plan to have a public meeting prior to the Wednesday, May 18 CRTPO meeting at the Charlotte-Mecklenburg Government Center. Ultimately, the assignment of local input points to projects will boost the likelihood that they will appear on the next Statewide Transportation Improvement Program (STIP). The draft STIP will be issued at the end of 2016, and the final STIP will be approved in late 2017. As long as the widening of Highway 160 south of S Tryon Street continues to appear on lists, it has a good chance of receiving future funding. At the 2016 Steele Creek Residents Association Annual Meeting in February, Robert Cook, CRTPO Secretary, reported that the State Transportation Improvement Program (STIP) released by the North Carolina Department of Transportation (NCDOT) last year includes funding for two Highway 160 projects. 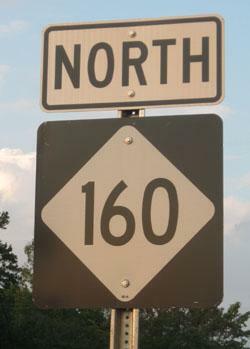 See Highway 160 Projects Continue to Move up in Schedule. Construction is now expected to begin in 2017 on improvements to the intersection of Hamilton Road and Highway 160 (Project U-5762 on the map to the left). 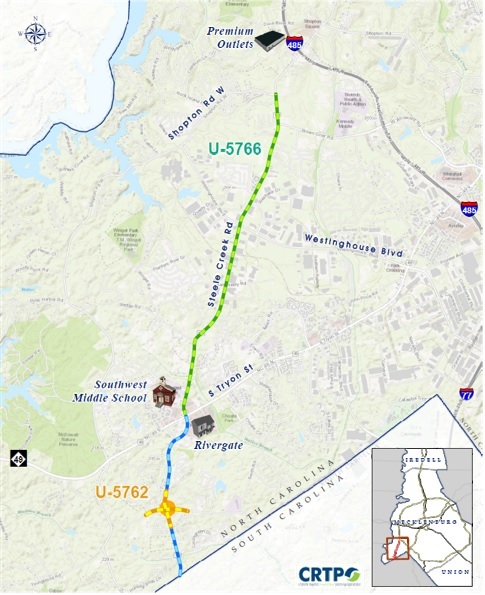 The right-of-way acquisition for the widening of Highway 160 from Shopton Road W to S Tryon Street (Project U-5766) is now scheduled to begin in 2020 with construction beginning in 2022.